A father in Indianapolis died after jumping into a lake to save his 3-year-old daughter. Twenty-four-year-old Anthony Burgess Jr. was talking to friend Bobby Malone at the Core Riverbend Apartments complex at around 4:30 p.m. Burgess left the engine on while he stood outside his car. His daughter tried to get out of the car too, but he told her to go back to her seat. 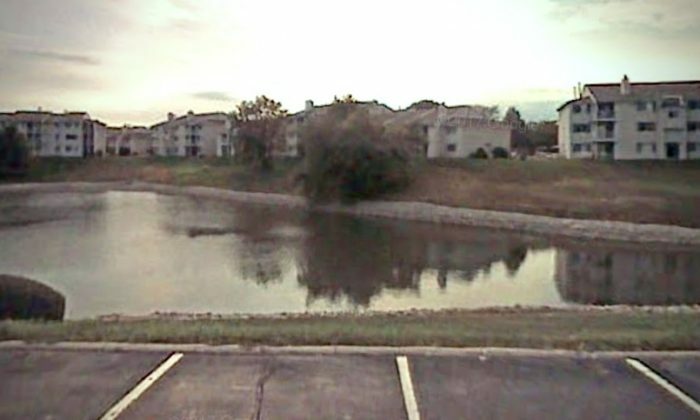 On the way back, investigators think she hit the gear shift and knocked the car out of Park, sending the car backward and into a retention pond, WTHR reported. As the car rolled into the pond, Burgess and 28-year-old Malone went after it. Neither knew how to swim. Malone turned back while Burgess managed to get to the car and pull his daughter out before it submerged. A 30-year-old bystander jumped in and pulled the girl from Burgess’s hands to safety, despite also not knowing how to swim, WTHR reported. The bystander tried to turn back to get Burgess but wasn’t able to. That bystander also ended up having to be helped out of the water by another bystander. He was taken to the hospital with hypothermia. Others tried to reach Burgess with ropes from the lake’s edge, but with no success. They ended up nearly hypothermic, WTHR reported. Divers from the Indianapolis Fire Department arrived and located Burgess’s body within 60 seconds, 20 feet below the surface, WTHR reported. The water temperature was 35 degrees Fahrenheit. The man’s daughter is in critical but stable condition at Riley Hospital for Children. The car was later pulled from the pond, 50 feet from shore in 25-foot-deep water, WTHR reported. Burgess had no pulse when he was first pulled from the water. Hospital staff managed to regain a pulse, but he died that evening, according to WIBC. He had been submerged for 10 minutes, WTHR reported.